Lavender is effective in calming horses, the findings of a study show. Research published in the Journal of Equine Veterinary Science found significant signs of stress reduction in horses who inhaled lavender from a diffuser. The study was conducted by Isabelle Chea, a then-undergraduate honors student at the University of Arizona, and Ann Baldwin, a professor of physiology and psychology at the university. “Horses can be under a lot of stress, so I was interested in seeing if aromatherapy could help in reducing stress,” says Chea, who had never been around horses before taking Baldwin’s course, Physiology of Mind Body Interactions. During the class, Baldwin uses horses to teach students about heart rate and heart-rate variability, which is a measure of the variation in time between each heartbeat. Both are indicators of the level of stress a person or animal is experiencing, though heart rate variability is a much more sensitive measurement. Heart rate has been the focus of only a limited amount of research involving attempts to use aromatherapy to calm horses in the presence of a stressor, such as trailering. In one previous reported study, horses were startled by an air horn and then provided with humidified lavender air. The horses’ heart rates increased in response to the air horn but returned to normal more quickly in those who inhaled lavender. However, none of the studies looked at a horse’s response to aromatherapy in the absence of an imposed stressor, and none measured heart-rate variability. “We wanted to test regular horses that aren’t stressed out by external forces,” said Baldwin, who rides dressage on her 18-year-old quarter horse, Major. Baldwin enlisted the help of other owners at her boarding stable to put together a group of nine dressage horses of varying breeds and ages. Each horse was led to a small paddock and held by a volunteer while a diffuser containing lavender essential oil was held near the horse’s nose. A monitor tracked heart rates and heart-rate variability for 21 minutes in total — seven minutes before the introduction of the diffuser, seven minutes with the diffuser in close proximity, and seven minutes after it was removed. “The heart rate didn’t change; what changed is what’s called the parasympathetic component of heart rate variability,” Baldwin explains. The results were supported by the horses’ observed behavior, which often included relaxation signals such as neck lowering and licking and chewing while the lavender was being inhaled. “Some horses don’t like to be shod. So, when the farrier comes and starts banging around with their hooves, it would be good for that,” Baldwin said, giving a practical example of how lavender aromatherapy could be used in the barn. Baldwin says future research projects could examine the effectiveness of aromatherapy for horses using other scents or doses. When it comes to lavender, though, the research is clear. A sniff is all it takes to calm an anxious equine. 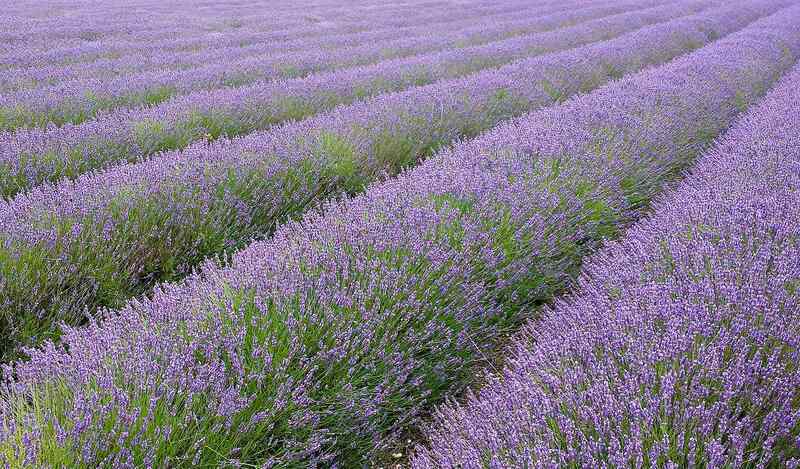 Lavender also can make people and animals very sick by breathing it. Do not use this on horses or other animals. If I am around lavender it makes me weak and unable to stand up. I am not relaxed.